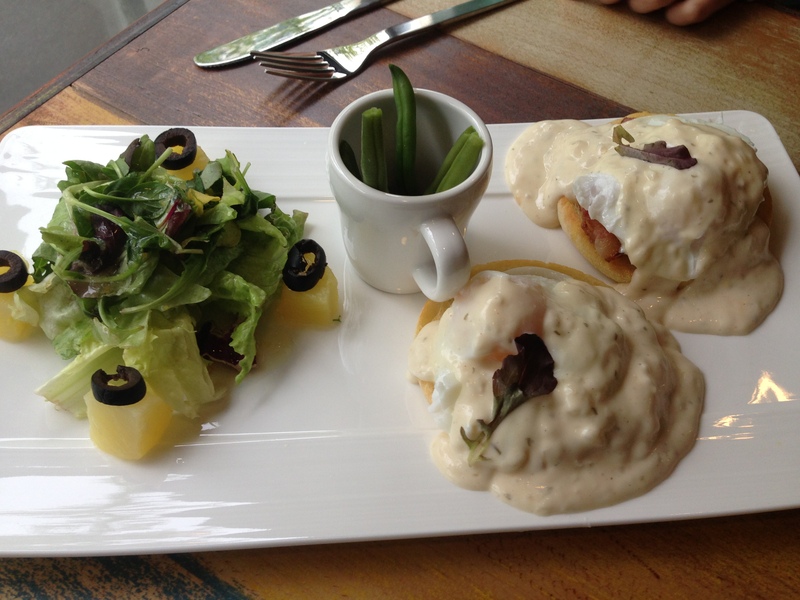 Oh the excitement when I saw someone post on a public forum that Eggs Benedict was available in Ulsan! 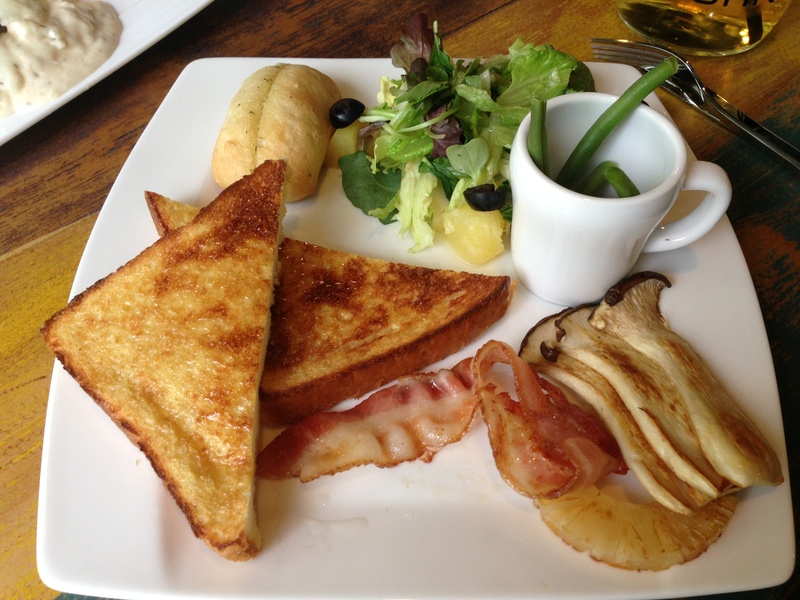 Breakfast was always my favourite meal to eat out with my husband back home. I loved the simplicity of the dishes and how satisfying they tasted when a restaurant or cafe got it spot on. This is one of the things that I miss the most – being able to get out of bed and drive to one of the many locations (and for a good breakfast, I would drive up to half an hour to get to my destination) we had to choose from for an exceptional breakfast. 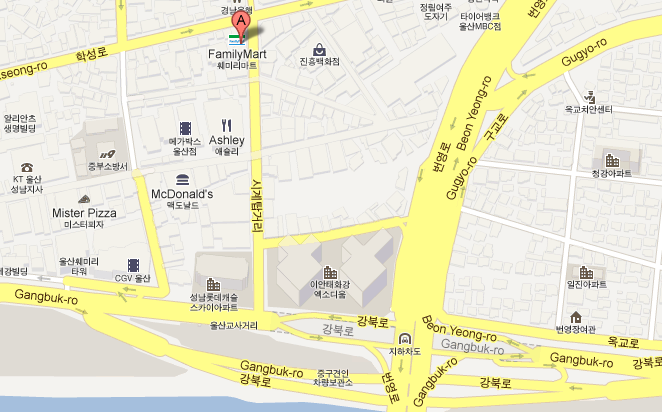 Try finding somewhere to even eat at 8:30am any day of the week in Ulsan and you’ll be hard pressed. Sure, there are hotels who serve up a western breakfast menu, but also at western price bordering on extortion. 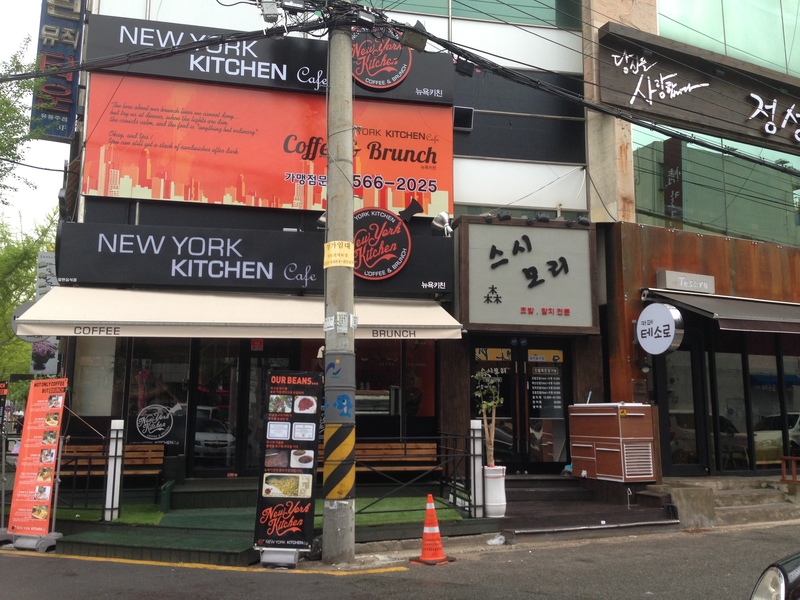 So we made our way to New York Kitchen Cafe just down the street from KFC in new downtown (Nam-gu or this section is known also as Dal-dong to the west of Samsan-dong), getting there just after 10am, which is when they opened. 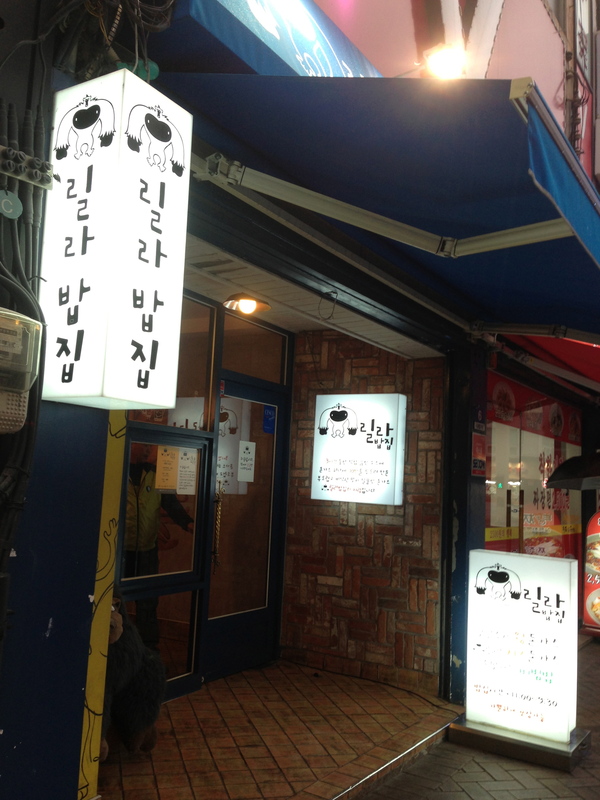 From the street, the cafe’s signage is displayed in all it’s glory and definitely not at all difficult to spot. 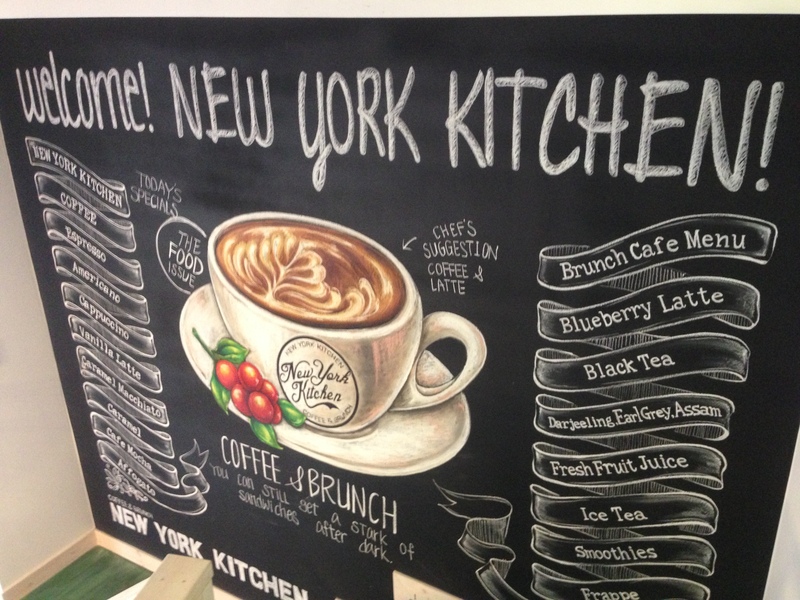 As you enter the front door, you are welcomed by a beautifully decorated chalk board, and a charming set of stairs. Once you reach the top of the stairs, the cafe is gorgeous and looked very much like many of our favourite breakfast spots back home. 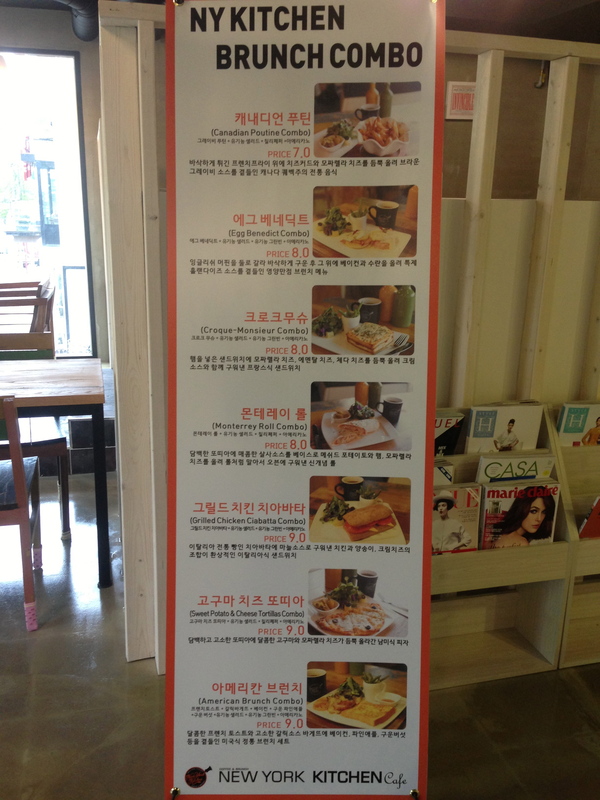 The menu, in english (although the descriptions written in Korean) was displayed along with pictures so that you have some idea of what it is you are ordering. My husband and daughter both ordered the Eggs Benedict (after all, she is her father’s child) and as a point of difference, I would go out on a limb and try the American Brunch Combo. It worked in our favour later on – but we’ll get to that. With the absence of banana smoothy (boo!) we ordered two caramel frappacinos and an apple juice to compliment our breakfast. When the frappacinos arrived, I was delighted! 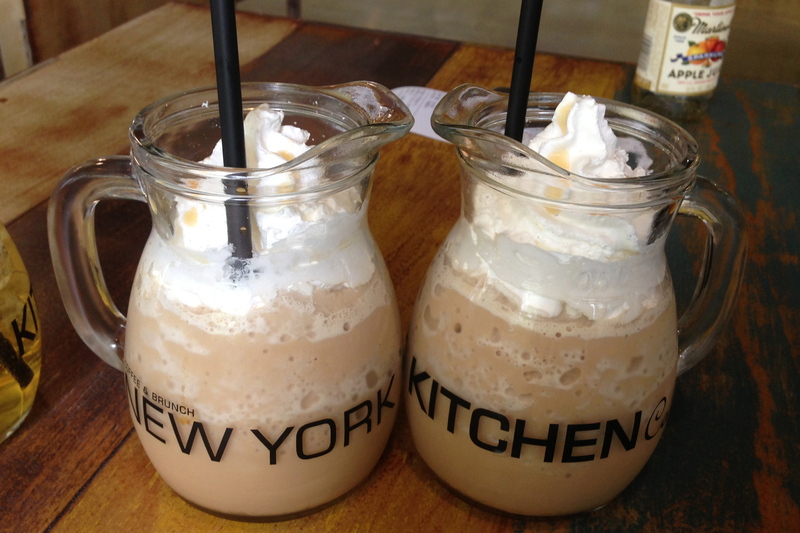 What an adorable idea, using small jugs as drinking mugs. I am not a religious coffee drinker, so I can’t really comment on how good the coffee blend was in my caramel frap, but I am an experienced Starbucks (and Zarraffa’s if you’re on the east coast of Australia) patron and I do know what a good frappacino tastes like and this was definitely above average, but I wouldn’t be so confident as to say it was outstanding. Nonetheless, we were off to a good start! Again, as advised by my caveman husband – you need to get here way before you’re starving. They took some time to prepare our order and my husband was already beginning to give me the “you’ve already made me wait until after 10am to eat breakfast, and now you’ve brought me to a place that takes 10 hours to make my meal” look. In his defence, he wasn’t being completely precious, we were the only patrons in the cafe and it felt like a good 20-25 minute wait until our food arrived. Unfortunately when it did arrive, my daughter could not hide her disappointment because what was presented in front of us was far from any type of Eggs Benedict that any of us has ever seen before (and I’ve seen some Hollandaise on the paler side of yellow). The sauce, which was so generously poured on top of each stack, is what I can only describe to be a mix between mayonnaise and ranch dressing with a slightly thicker consistency. Edible however far from enjoyable. A few moments later, my American Brunch was served, and no surprise, the child wanted to trade (and this time, by child, I don’t mean the husband) so it ended up being a good thing that I had ordered something different. Again, it was unimpressive. Luckily my daughter didn’t mind the french toast drizzled with what tasted like maple syrup. 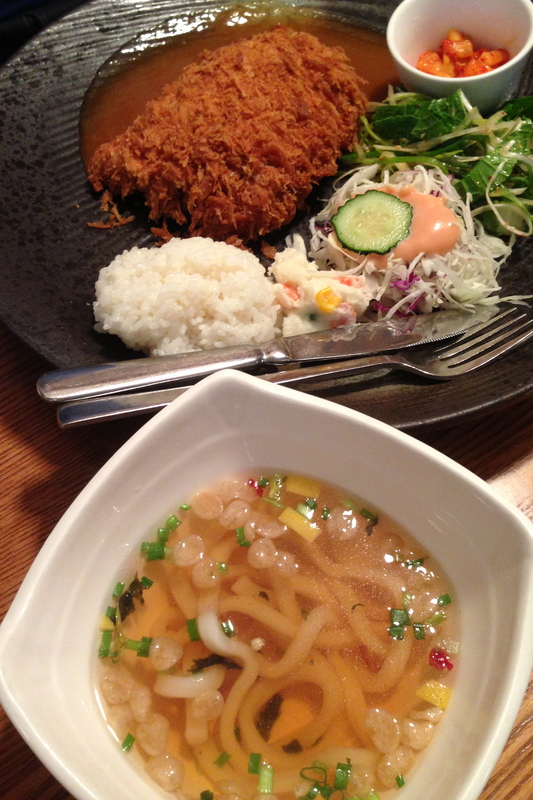 The accompanying side of salad was interesting to say the least – sweet pineapple with a vinaigrette-like dressing. The beans in the short coffee cup was quite delicious though, simply steamed and sitting in a pool of dipping soy sauce. Definitely the best thing about the meals! To be honest, they could have very easily pleased me by piling on a bunch of cooked bacon and banana (cooked or uncooked, I’m not prejudice) on top of the french toast, and topped if off with a drizzle of maple syrup. As for the Benedict, it was only the sauce that missed the mark. There was nothing wrong with how they poached the egg (which isn’t always the easiest of tasks when it comes to ways to cook an egg perfectly). To get there, enter either of the two below addresses into Google Maps to show you how to get there by foot, road or bus from your location. I am going to admit, I LOVE Korean BBQ in almost any way, shape or form. In Australia, my husband would only entertain this in the winter time, and even then it had to be smack bang in the middle of winter as he didn’t enjoy sitting in his pool of sweat while trying to enjoy his meal. You can imagine how much it thrills me that it is still cold enough outside for me to still BBQ in the spring time here. I am not overly fussed when it comes to BBQ, as long as the restaurant has beef and pork for me to cook and eat. 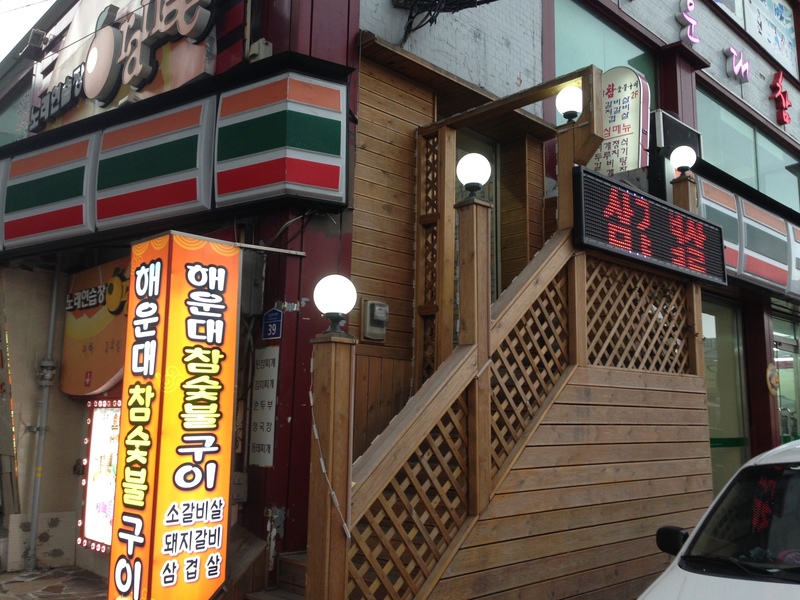 Located above a 7-11 in Seongnam-dong (known as old downtown or Jung-gu), across the lane way from the CGV cinemas, you will find a set of wooden stairs which will lead you to the second floor where this restaurant can be found. 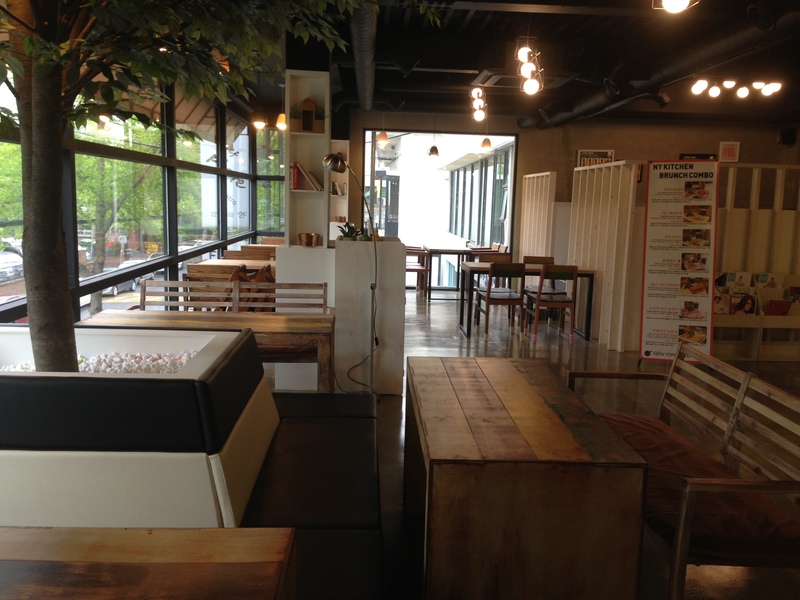 Inside, you can sit on the floor (but remember, if you choose this option, you will have to remove your shoes), alternatively if you have smelly feet or if your limbs defy you (like my husband’s – limbs, not the smelly feet), the tables and chairs will suit you just fine. The thing I love most about BBQ at this restaurant, is the plethora of side dishes that accompany your order of meats. 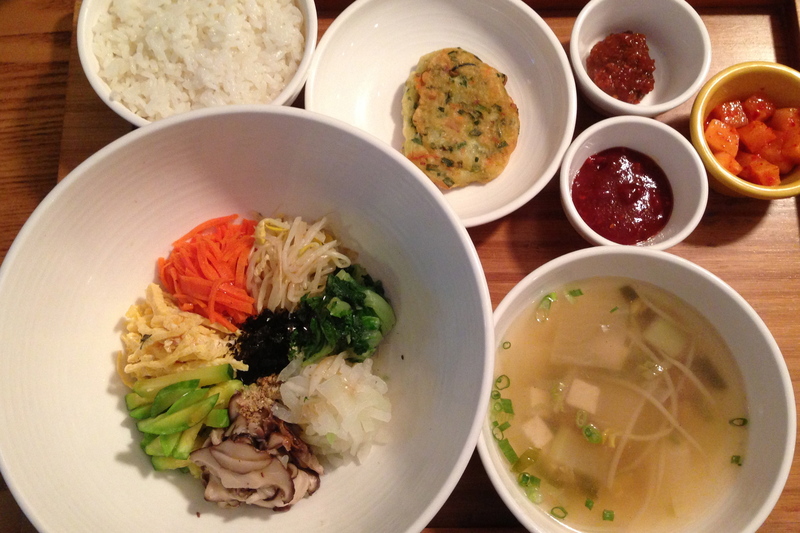 I have not yet come across another Korean restaurant, to date, that are so generous with the variety of sides on offer. 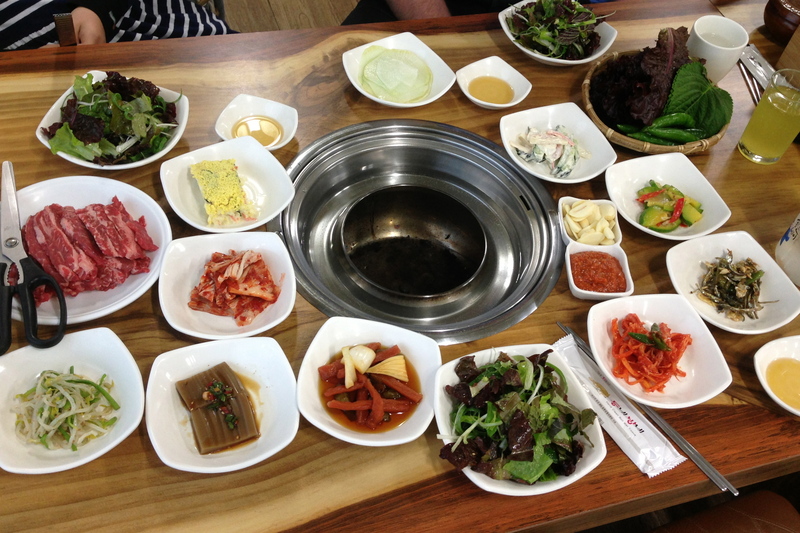 In addition, I have also not yet encountered the mash potato side dish (one of my favourites and a common side at Korean BBQ in Australia) that they have here, at any of the restaurants that I have been to yet. What is the downfall? You only have three types of BBQ meats to choose from. 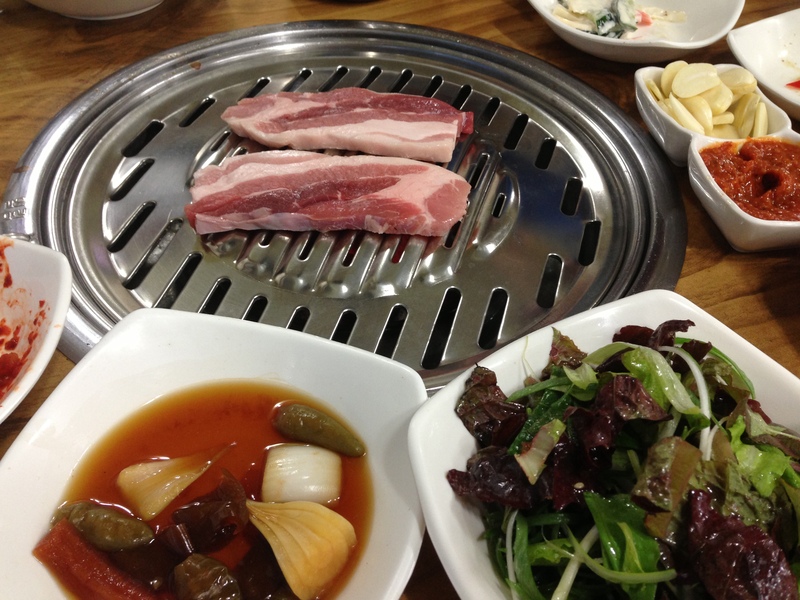 Beef, Pork Belly and Marinated pork, which are the first three meats listed on the menu below respectively. 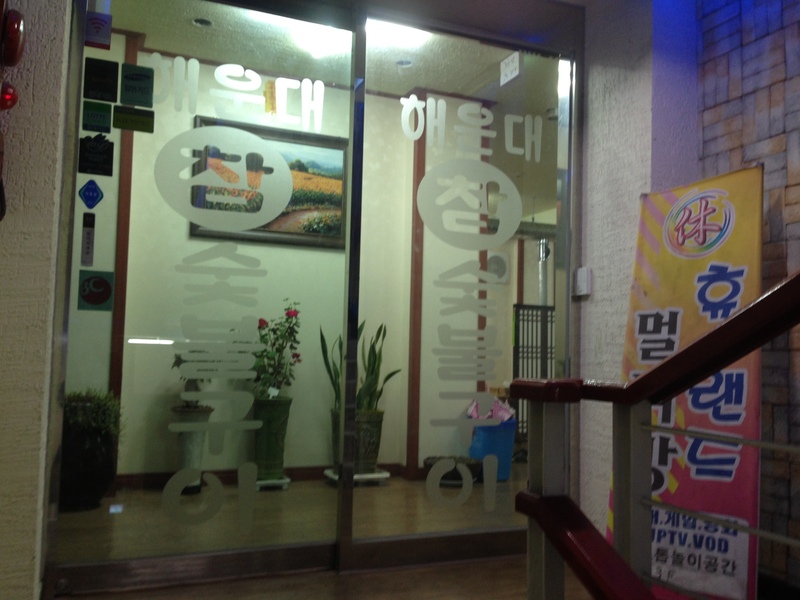 You will also need to order your rice (밥 – bap) separately at 1,000 Won per bowl. Unfortunately, there is no english menu available so you will have to use your good old Google translator with this one, and the staff barely speak any english. Whilst dining at this restaurant, I had spotted other diners enjoying what resembled a Kim Chi type soup, and the traditional Korean pancake with the chives and other goodies mixed in. Perhaps I will try them when I can figure out what they’re called so that I can order them, but for now, I will stick with the BBQ meats! The other thing that I am not a big fan of is that fact that I have to cook different types of meats on different cook tops, which means that I cannot enjoy my selection of meats together. I can only have one type of meat at any one time. But for the side dishes, I am actually willing to look pass these faults. This establishment does not provide extraordinarily top quality, high-end meats, but you get what you pay for really don’t you? At these prices, for us, the quality will suffice. 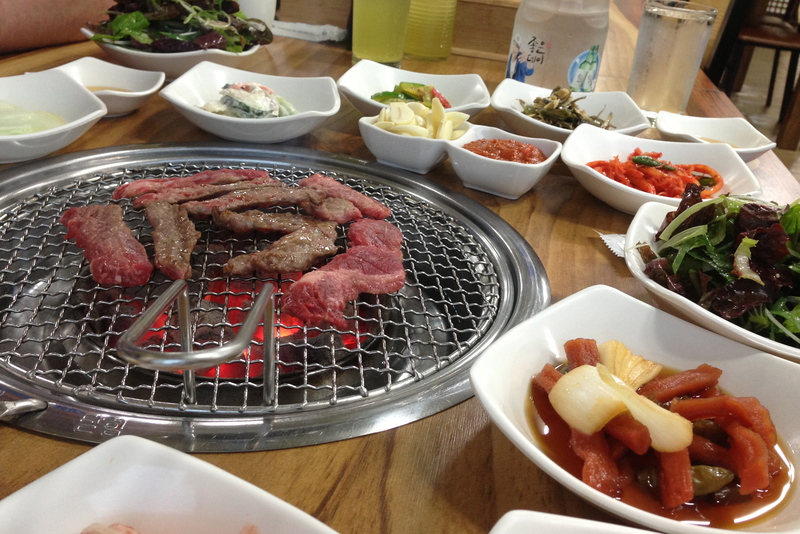 The other plus is that generally, I find that I don’t leave here reeking of BBQ through to my hair, clothes and even down to my underwear, which I have experienced at other BBQ restaurants both in Australia and Korea. 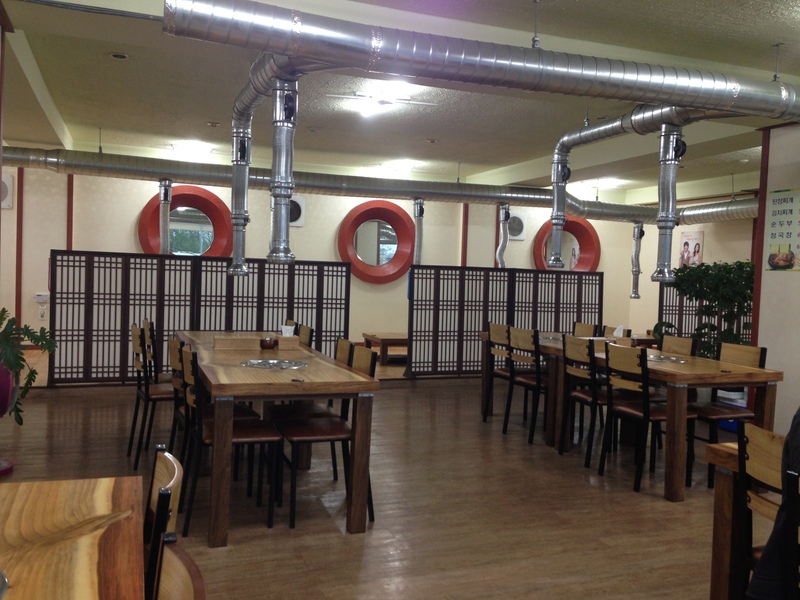 For me, I go back to Haeundae Korean Restaurant for a non-fuss quick and easy meal with no nasty surprises that won’t break the bank. 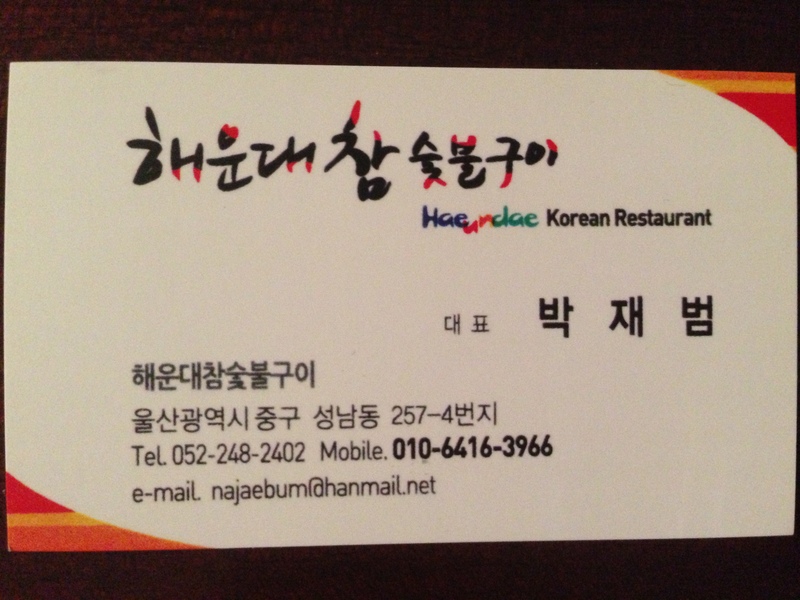 I wouldn’t go so far as to say that this is an absolute must try, but if you are living here or are in the area, it is an option if you’re after some Korean food. 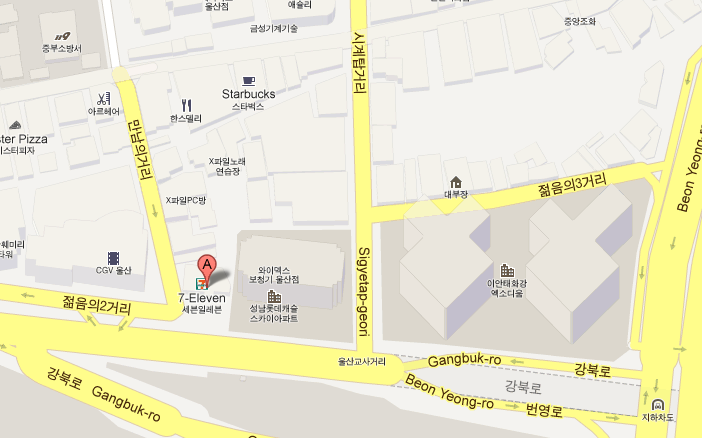 Enter either of the following address details in to Google Maps to give you directions on how to get there. 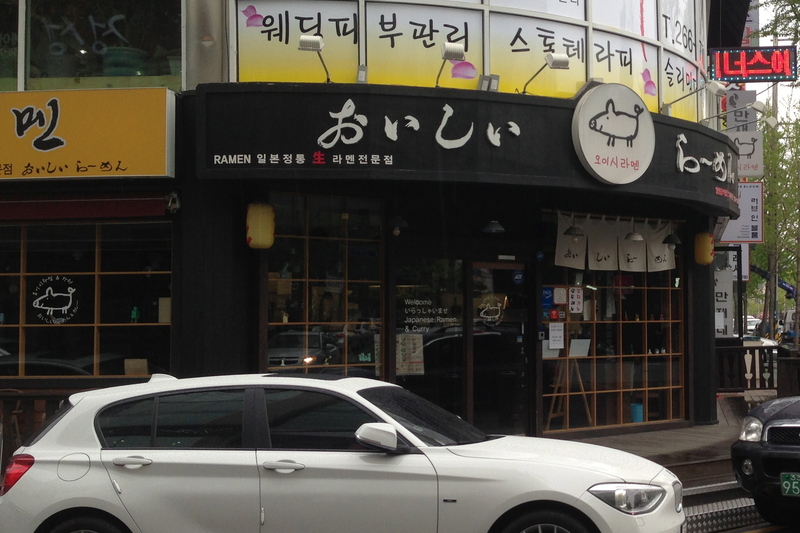 I think the curiosity gets the better of us when we walk pass this restaurant in Seongnam-dong (old downtown or Jung-gu) only a couple of doors down from Paris Baguette and across the road from Woori Bank. Usually when I walk pass, there is a line-up outside, which was partially the deterrent (because I hate queuing), but also because there didn’t appear to be any pictures or english found anywhere in or around the shop, ergo, it was put in the “too hard” basket even though I was desperate to find out if the food warranted the queue. 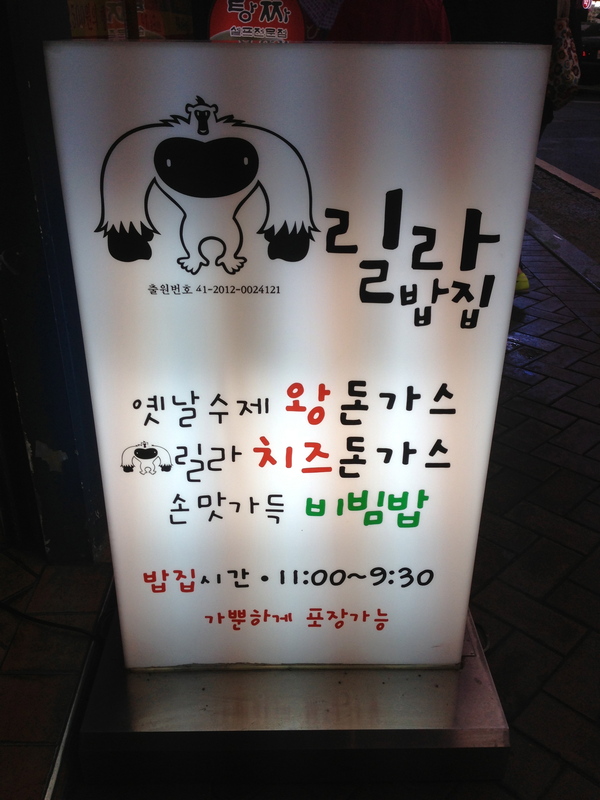 You will all be pleased to know that this adorable little restaurant only serves up three main dishes. All of which – thoroughly enjoyable! My husband agrees, that sometimes it is comforting to know that there is a limited menu choice so you hope that they do what they do have particularly well, and that they do. 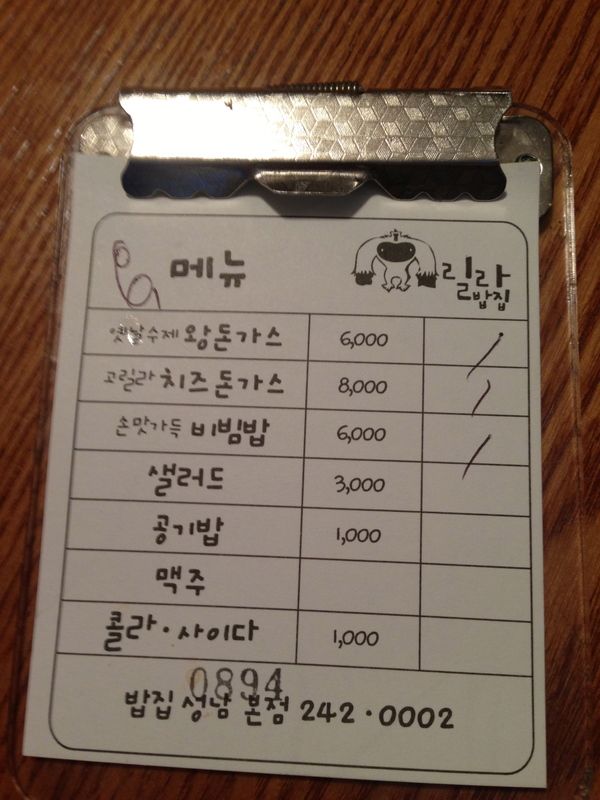 For 6,000 Won, you can treat yourself to the plain pork curry or the bibimbap, both of which were generous portions. Both of the pork dishes on offer come with their own little servings of sides, including a portion of Kim Chi (radish), green onion salad, mash potato salad and something that resembles coleslaw with thousand island dressing. But it doesn’t stop there! 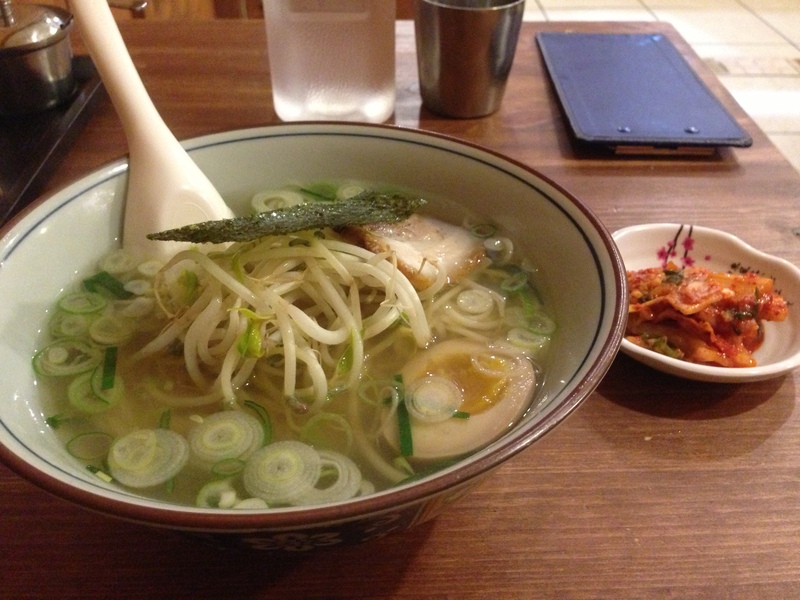 You also receive a small bowl of udon noodles. 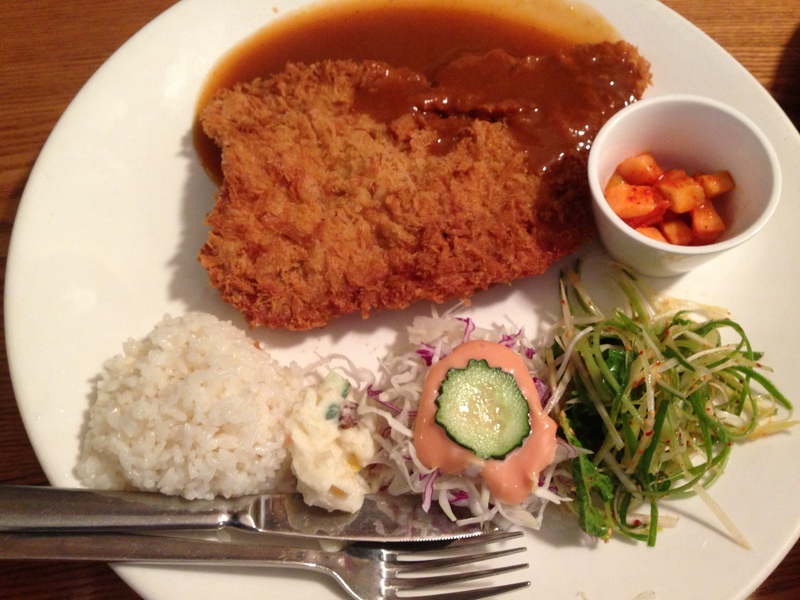 The pork curry with the cheese cost slightly more at 8,000 Won, but it is well worth it. I must say, I am partial to this the cheese pork curry – when you cut into it, the cheese oozes out just like the garlic butter does when you cut into a chicken Kiev. Indulgent and delightful! The bibimbap is not served with meat, but does have egg, along with a small selection of sides including radish Kim Chi chopped into tiny bite size pieces which make them so much easier to eat. The accompanying soup is what appears to be a dry squid base, and is delicious and full of flavour. I enjoy bibimbap, so I found this of the same standard to many other that I’ve had since arriving in Korea, but it is definitely not everyone’s cup of tea and if bibimbap is not your Korean dish of choice, I would highly recommend that you stick with either of the pork curries. The staff in this establishment has very limited english, however were able to convey that the meat was pork and that the other dish was pork with cheese. 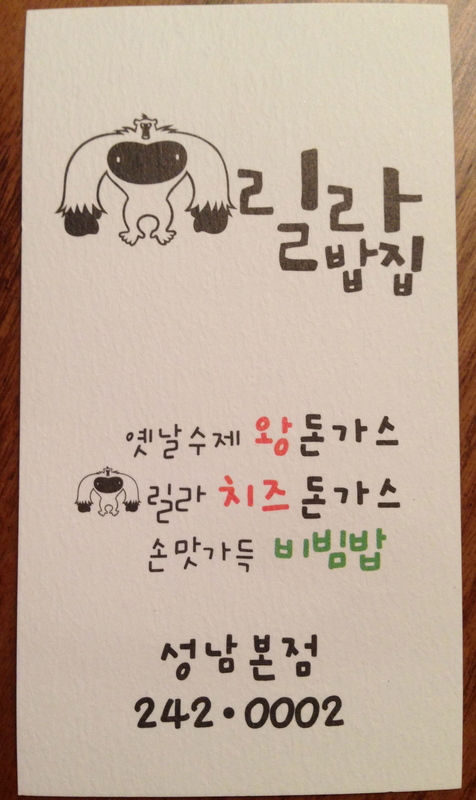 I can now (after four weeks of Korean lessons) recognise the characters for bibimbap in Korean, so that was a no brainer. In addition, the staff were very quick to clear up the dishes from the departing patrons, and even took our order whilst we were still in line outside so that once we were seated, our meals were served almost instantly. I cannot express to you exactly how much it just tickles me with joy on the inside when I observe a business being run with efficiency. There is no english menu, but never fear, I have deciphered it all for you so you know which one to point to when it comes time to order. 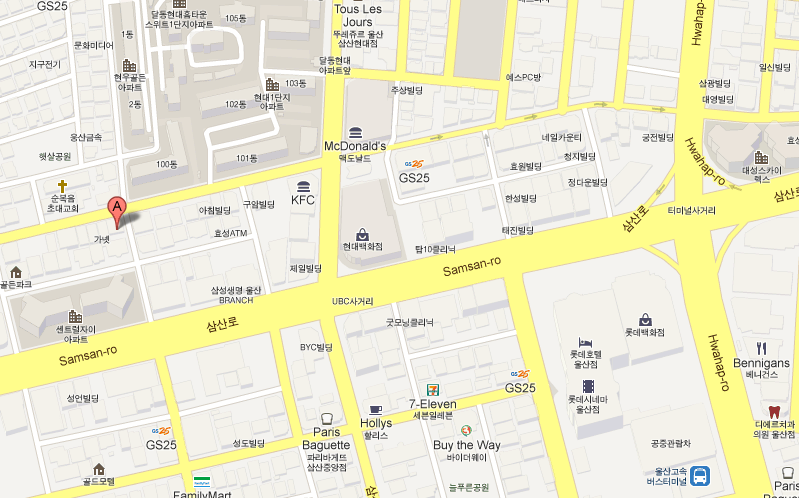 Conveniently, there is also a store in Nam-gu (new downtown / Samsan-dong), but its exact location escapes me. You can find this little gem in old downtown by punching the following address details into Google Maps. 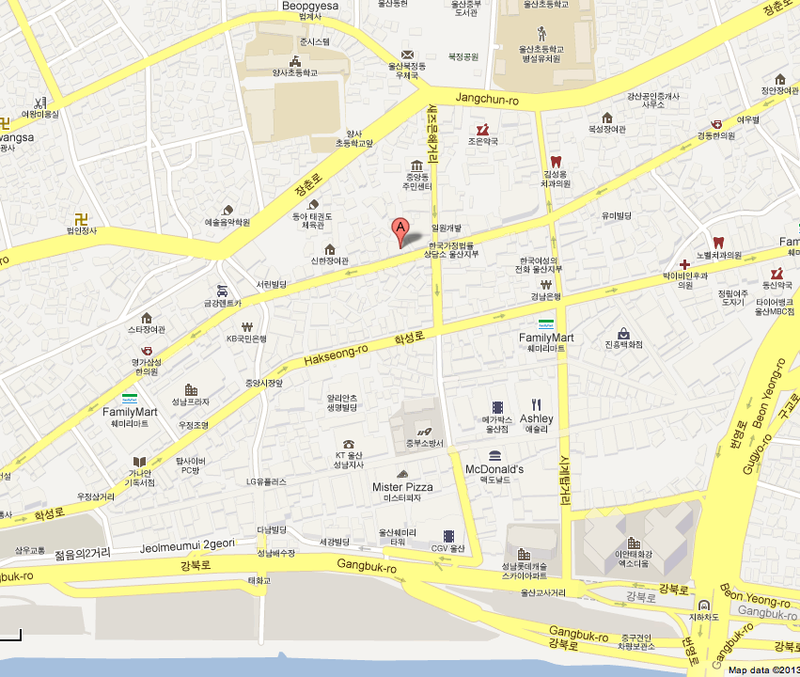 Here is a place that I think all expats will appreciate at one time or another during their stay in Ulsan. Agreed that you could potentially knock out something similar, for some of you who fancy yourselves a bit of a cook then maybe better, at home. But for those nights where you really just don’t feel it is necessary to indulge the domestic obligation following the feast (the clean-up), make your way down to this cosy little rustic diner and let Mr Toolbox put a smile on your little taste buds with his range of burgers and sandwiches. 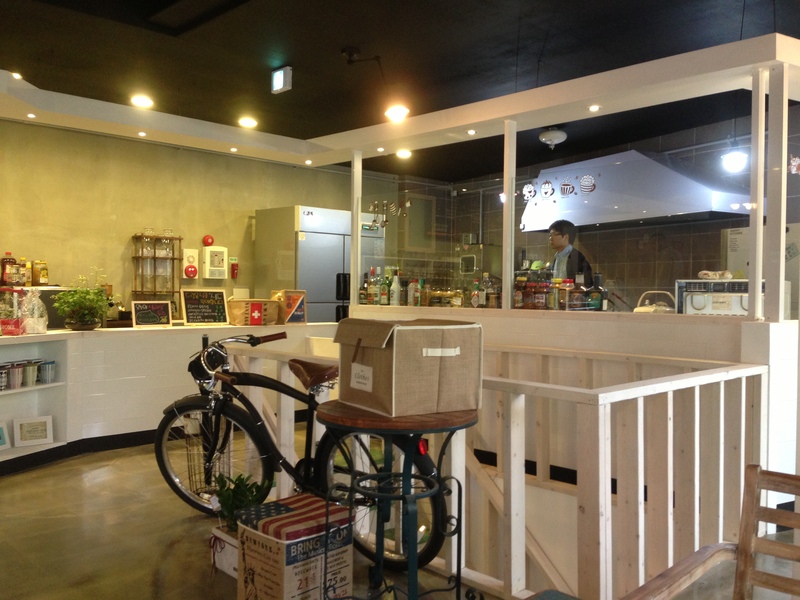 Upon sliding across that oversized door and entering this eatery, you are welcomed with an open warehouse-like feel. 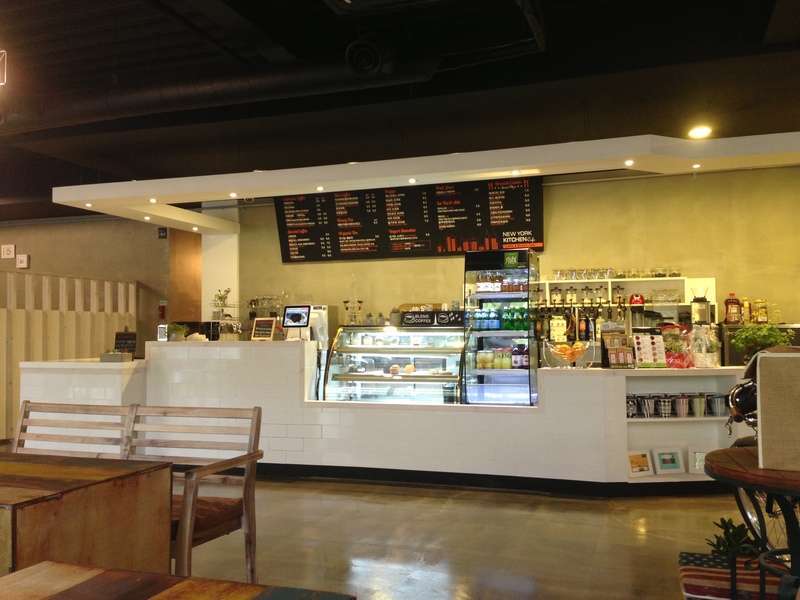 The decor is simple, what I would call modern rustic – very much a reflection of the food. 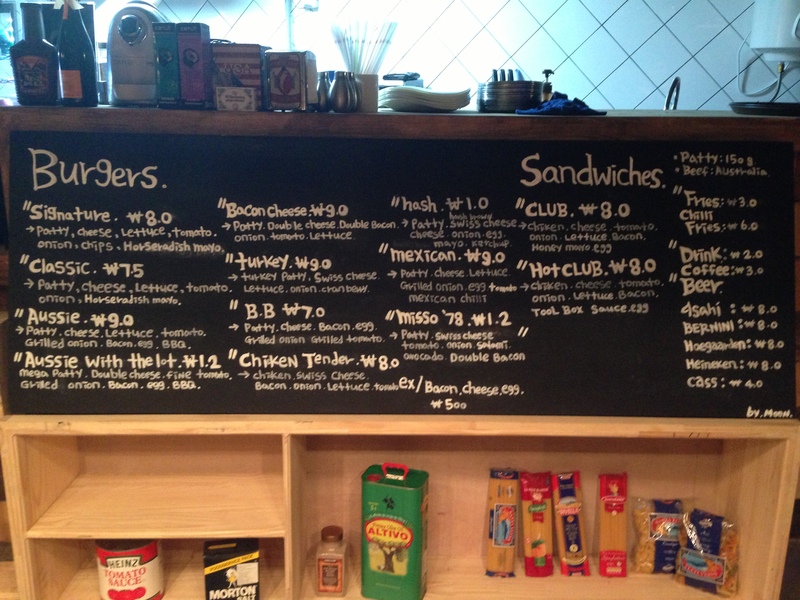 Leaning against the counter, what is better than food itself – your menu proudly displayed entirely in English. This is mostly a one-man-show, and on occasions, you have the luxury of having two staff members on and both speak English well enough so that you can request minor alterations to your order. My daughter is not overly a fan of rabbit food, through my own doing, as I was never forced to eat things I didn’t like, I decided to bring her up without the same imposition. More importantly, she adores Toolbox, but I don’t think I’ve ever met a kid yet who doesn’t love a good burger… or two. 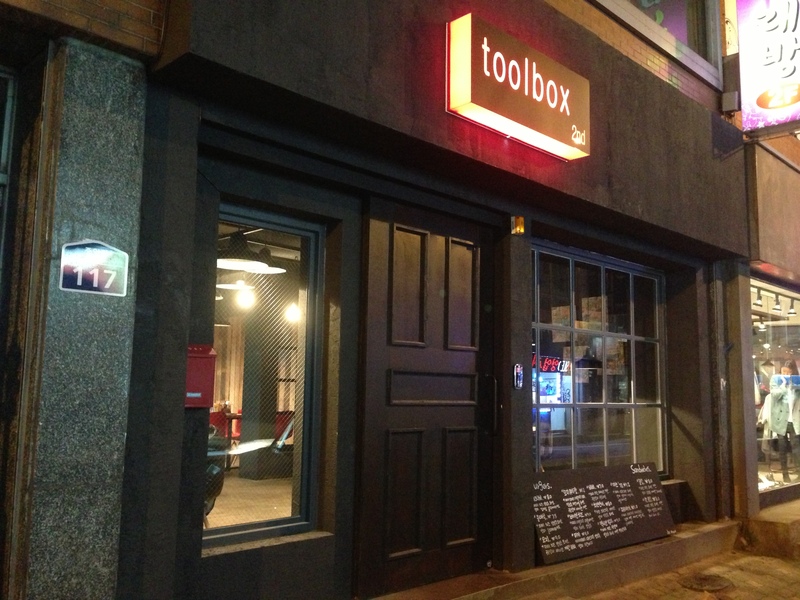 Rumour has it that the inception of Toolbox all came about when a group of Australian expatriates, who worked at the Hyundai Heavy Industries (HHI) shipyard, convinced a local (Mr Toolbox) to open a burger shop. It is also said that they taught him how to make the burgers and as such Toolbox was born. I actually don’t know how much truth there is to this story, or if in true Australian style, we wanted to take the credit for such a great product, but either way we have something that feels a little more like home without the typical “western food” prices. 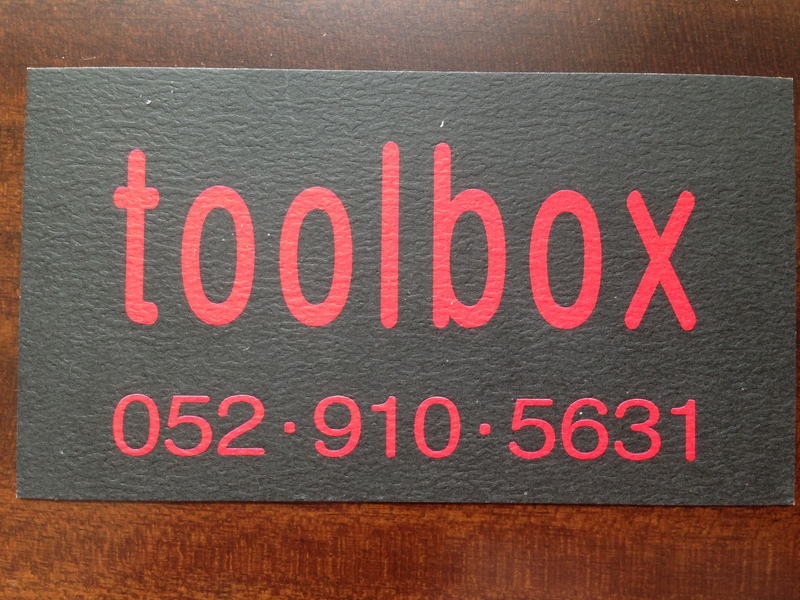 The first Toolbox has been operating in the Bangeo-dong area in Dong-gu near the HHI shipyard for a while now as I understand it, however I have not yet been there, but my husband enjoys lunch there every now and again. 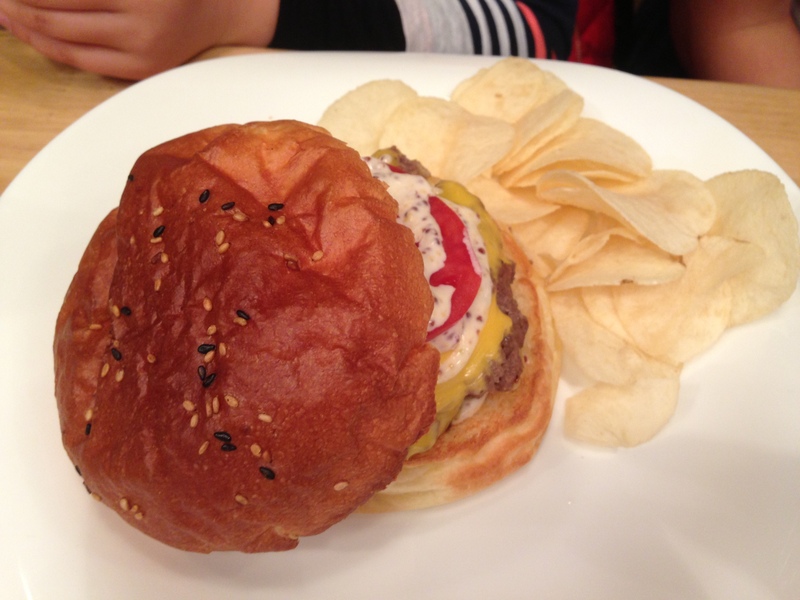 The burgers, complete with soft buns, generous patties and just enough of the other fillers so that it is not falling out from the bottom when you go to take a bite, range from 8,000 -12,000 Won, making this a moderately cheap eat. They also allow you the luxury of extras on your burger like bacon, egg or cheese for an additional 500 Won each, which in my opinion is reasonable. None of the burgers or sandwiches come with fries, but the “Signature” is served with a side of potato chips (crisps if you’re from the UK). If you like chilli fries, it would be better to lure a friend on false pretences as 6,000 Won a pop is a little steep for chilli fries I find, so it would be better to share the cost with a mate. 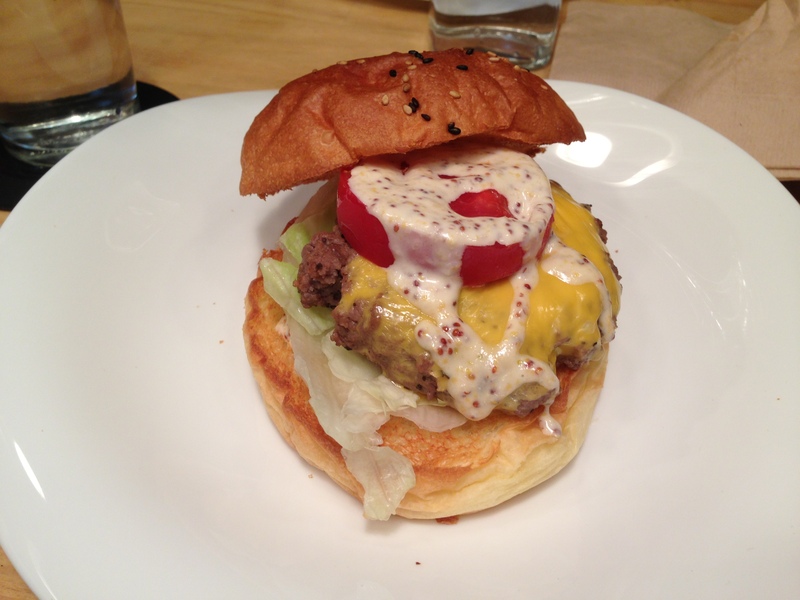 With a burger, there is definitely more than enough for the two, if not more, of you. 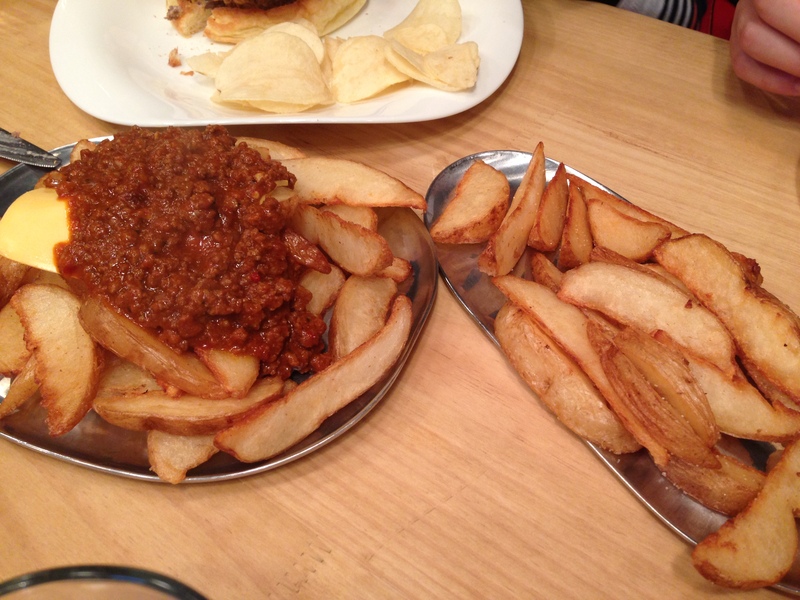 Regular fries are 3,000 Won per serving, and keep in mind that the serving does seem to be smaller than that of the chilli fries. In addition, the “fries” are really more like wedges as we know it. 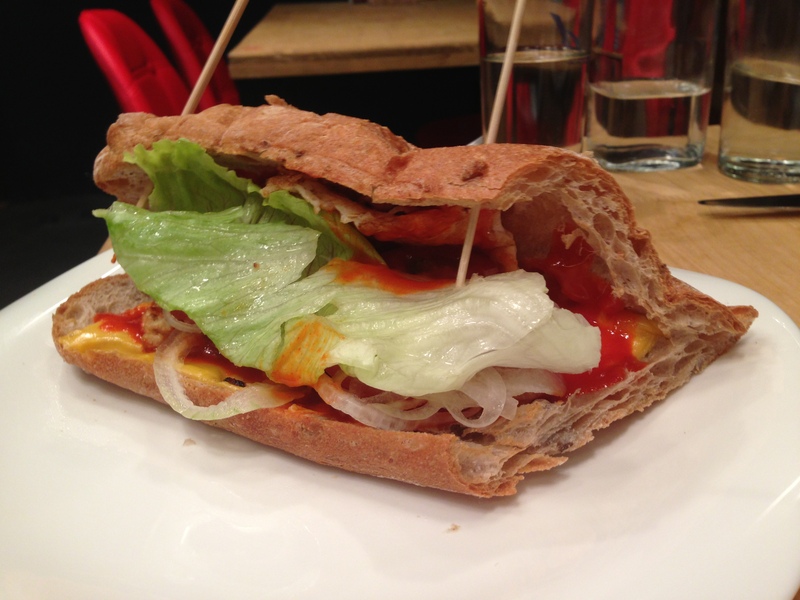 Slight technicality, but still delicious all the same! The thing I did find a little surprising, (let me preface this by saying that my beverage of choice is not of the alcoholic variety, and I have not consumed nor attentively purchased alcohol in any way shape or form since I have been in South Korea) was the price of the imported beers that they had on offer – 8,000 Won a can. I will be honest in saying that I did not take careful note of the size of the beers, however at the same price as some of the burgers, from someone who doesn’t have that appreciation for alcohol, it’s a little rich. 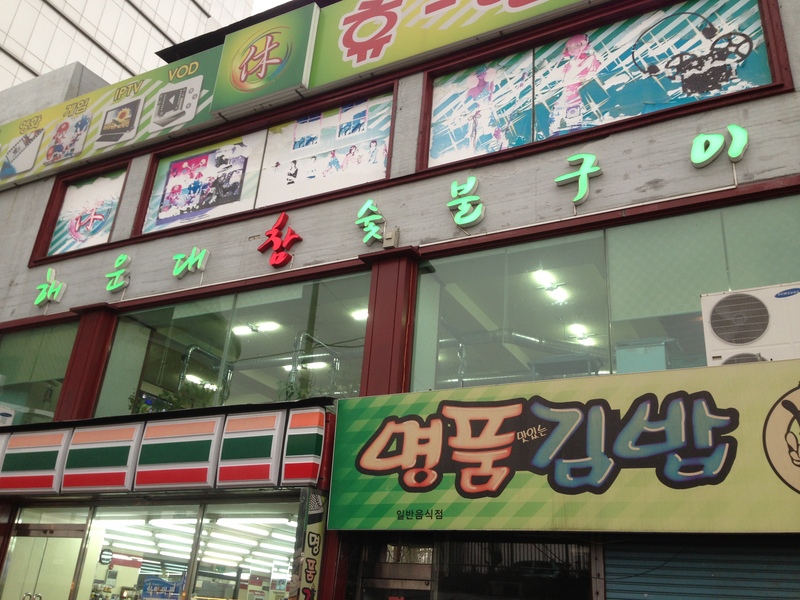 In saying that, my opinion is completely subjective, and I am wildly unacquainted with the cost of beer at the retail level in Ulsan. As previously mentioned, primarily this is an owner operated business and to not compromise on the quality of the burgers and sandwiches, they are freshly prepared. So direct from my husband’s mouth – “you have to make sure you get here before you’re starving!”. In fairness, the wait time is not unreasonable but is noticeably longer than many other restaurants in the area. I think it’s very much worth the wait. 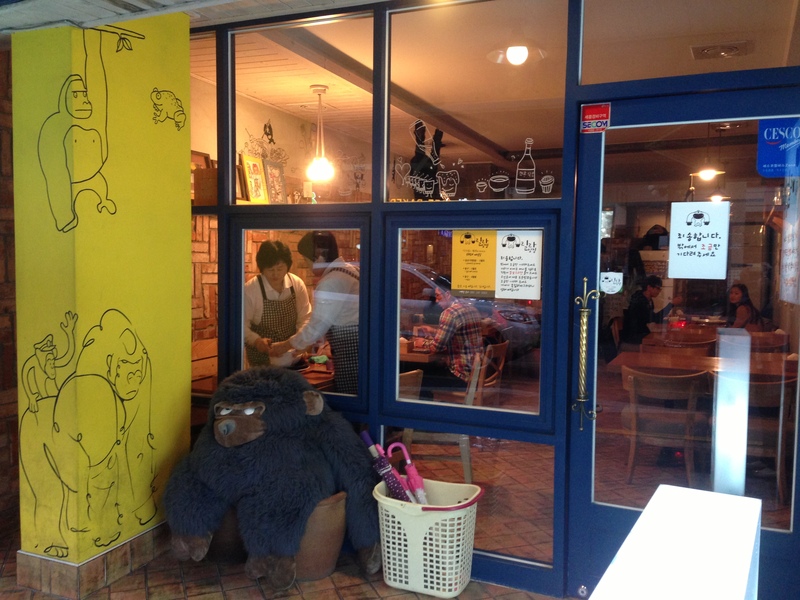 For the locals, Mr Toolbox has not forgotten about you – the menu is written in Korean on a chalk board leaning against the window outside. Apologies – I know you may have been getting your hopes up as to whether there was a “Kim Chi” or “Bulgogi” burger, but unfortunately you will not find this here. 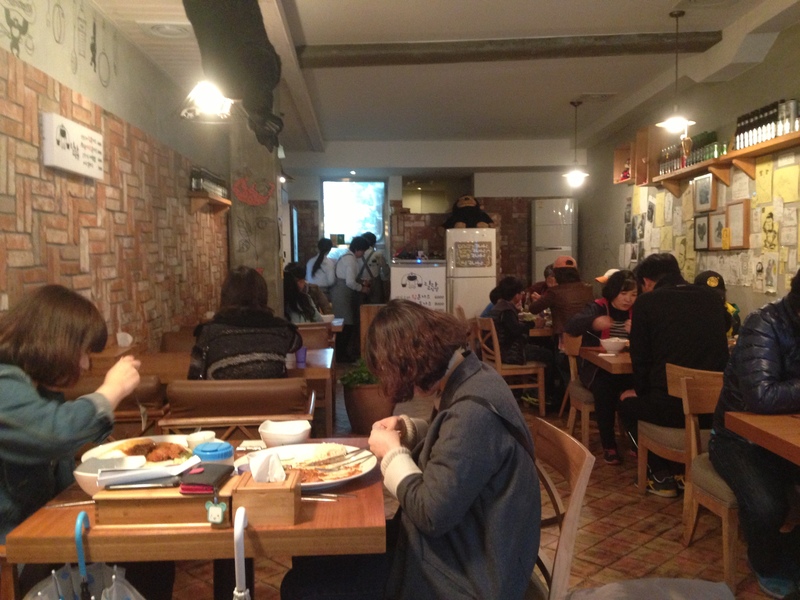 Apart from the fact that you are physically sitting in a shop in Korea and the chef and staff are Korean, this establishment has been so westernised that you forget you’re even in Korea… momentarily. 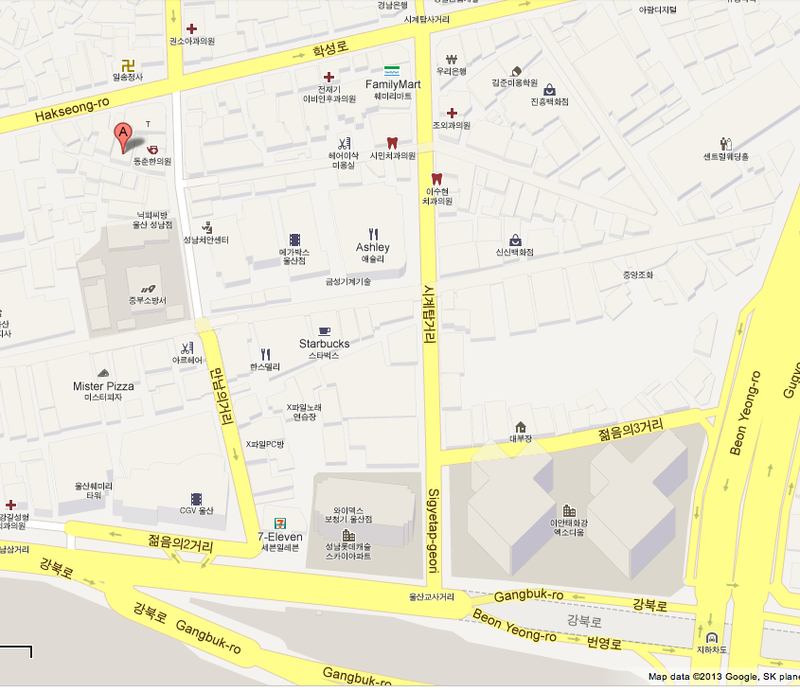 Type either of the following addresses in Google Maps and it will provide you with directions by foot, road or bus. Who doesn’t enjoy a good Ramen, and whilst it is actually the first Ramen that I have tried since being here, I can’t say that I was disappointed. 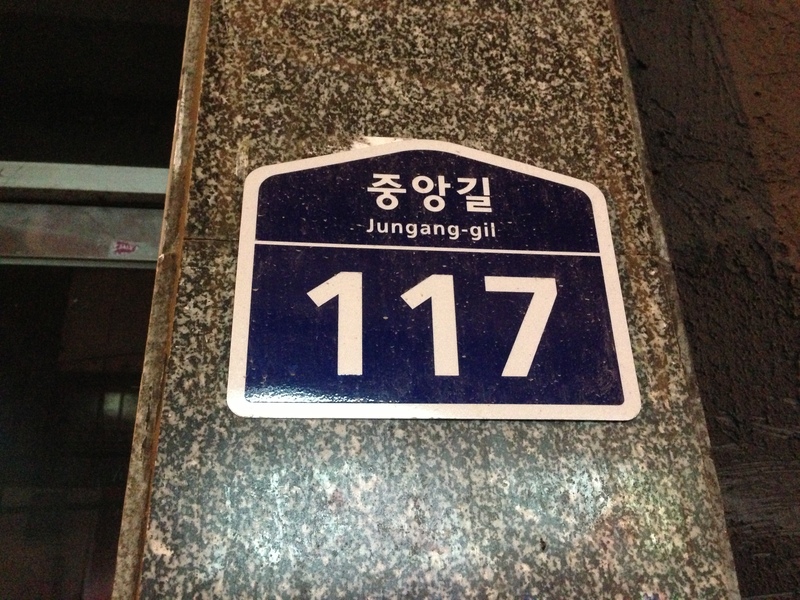 You will all be relieved to know that upon entering this restaurant, which you can find down a cute little side alleyway in Jung-gu (Seongnam-dong or Old Downtown) right near the fire station, you are greeted at the table with pictures on their menu! 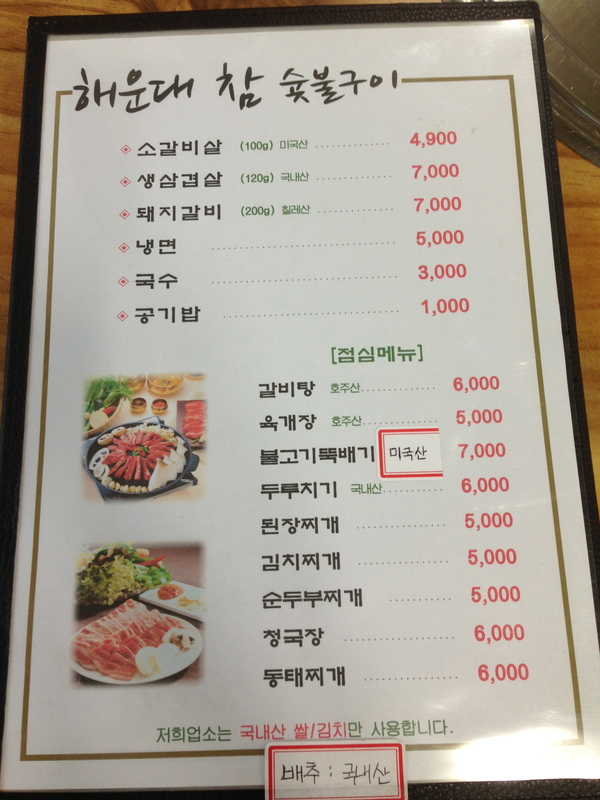 Whilst a majority of restaurants here have become wiser to this (due to the increasing number of foreigners expatriating to Ulsan) and adopted this format, it is still always a relief when you sit down and are presented with a menu where you don’t have to google images of the listed item. 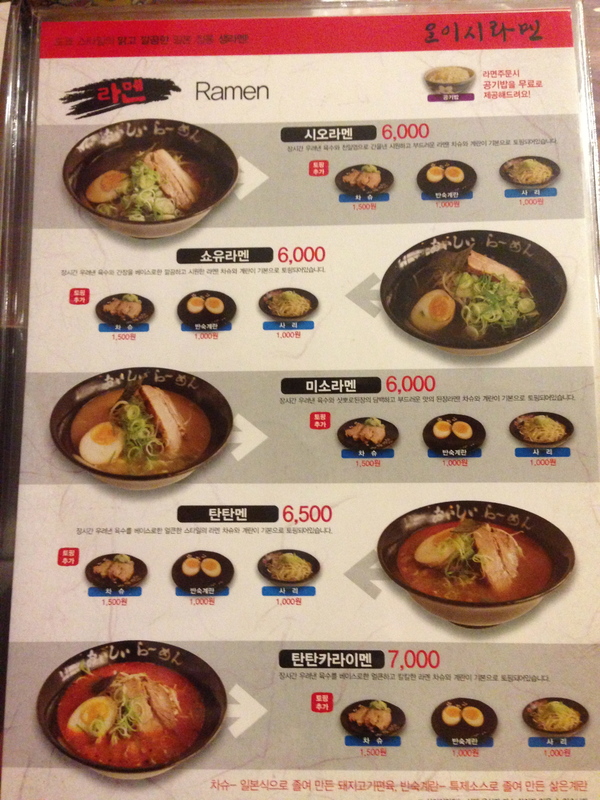 This is one of the better laid out menus that I have seen, allowing you the option to “upsize” your Ramen in a sense. The Ramen itself, whilst inexpensive at 6,000 Won per serving, comes with only one slice of pork, half an egg and a modest serving of noodles, which is probably enough to satisfy the ladies, however for the gentlemen (well, my husband at least), I wouldn’t be surprised if it took two extra servings of the pork (at 1,500 Won each extra serve), one extra serving of the egg (1,000 Won) and one extra serving of the noodles (1,000 Won), which would bring his dish to 11,000 Won for his belly to be satisfied. This defeats the purpose of a “cheap eat”, but the quality of this establishment will not disappoint, and the flavours are just delightful. Like many other restaurant in the area, Oishi Ramen will not deny you a serving of Kim Chi, of the cabbage variety, as your side dish. The perfect accompaniment for those of you who, like me, enjoy a little flirt with spice, but don’t want to have the love affair burn my entire mouth for ages after. Besides, I can’t think of anything more unglamorous than breathing like you’re in a Lamaze class practicing for child-birth when you’re just trying to enjoy a civilised meal. For those of you who do enjoy the sting of pepper, they would not make the mistake of leaving a spicy soup Ramen off the menu – in fact, Oishi Ramen offer two. After all, we are in Korea. Also included on their menu are the Japanese curries, as well as rice dishes with the same pork they use in the Ramen – absolutely delicious, and a good alternative to satisfy your roast meats craving, like the kind that you find hanging in the window of a Chinese restaurant. My husband was exceptionally pleased as he has been craving Char Siew (the roasted strips of pork covered in a red glaze) since we arrived in Ulsan. 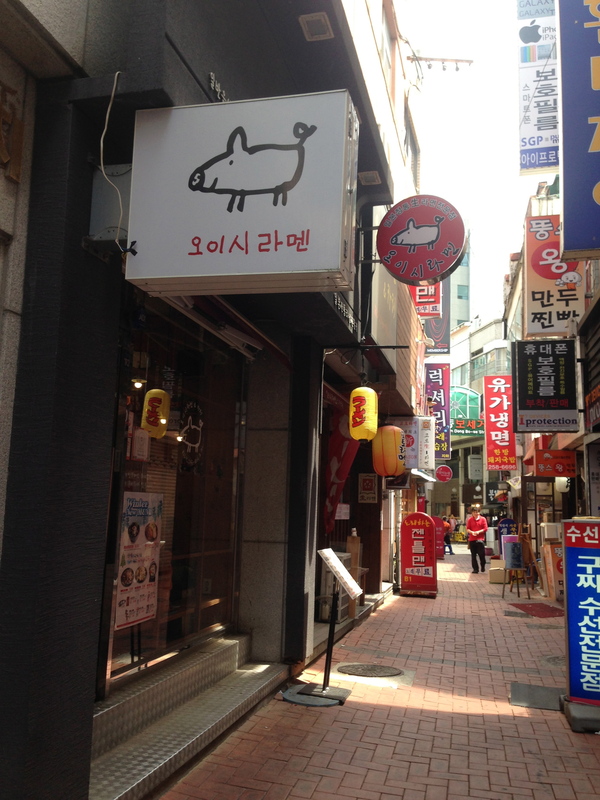 Oishi Ramen has two locations, Jung-gu (old downtown, also referred to as Seongnam-dong, which is the one that I visited), and Nam-gu (new downtown or Samsan-dong). The following addresses can be entered as shown into Google Maps to give you a precise location. 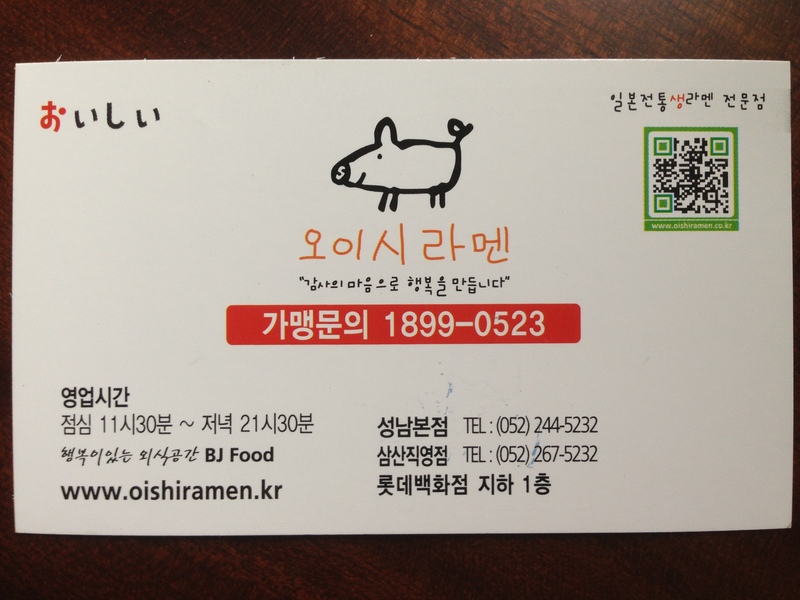 I have not yet tried the Oishi Ramen in new downtown (Nam-gu), but in case any of you would like to visit, here is how you can find it. 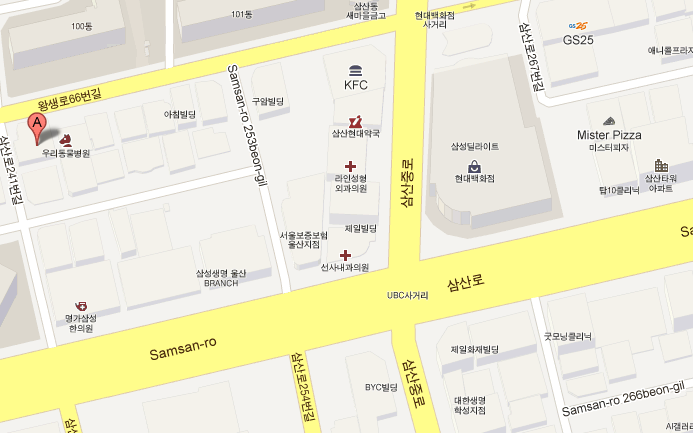 It is about 100 metres from KFC, if you head west on that street away from Hyundai Department store and pass the Guam (or Kuam) stationery store immediately after KFC.